Who says you can’t holiday all year round? Leave rain and grey sky behind this year, with a winter sun holiday. You could be soaking up the sun in no time! There’s no need to suffer the British weather, just find the perfect winter sun destination from our guide below. You won’t need to go too far either, with destinations just a few hours from home. But if you’re looking for something more exotic, we’ve got holidays a little further afield too. The choice is all yours – just get ready for that glorious winter sunshine. Madeira could be the perfect cure for your winter blues – the island boasts five times more winter sunshine hours than London. Daily winter temperatures of around 20°C make throwing your coat on a distant memory as you step off the plane too. Winter happiness could be just a short flight away! There’s plenty of exciting things to keep you entertained too. Why not set off on a dolphin watching adventure? If you’ve not quite found your sea legs, mountain hiking or visiting the botanical gardens might be more your cup of tea. 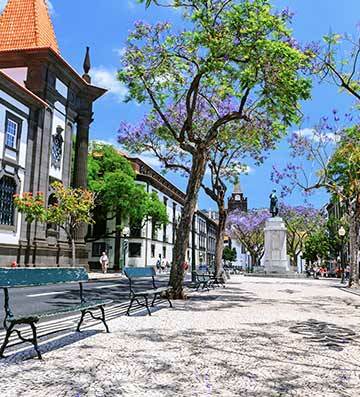 If you’re heading away for the New Year, you’ll find festival and fireworks in Funchal. Madeira is bursting with things to see and do all year round, so it's the perfect destination for a winter escape. Swap British rain for sunny Spain with a winter sun holiday in the Canaries. Off the west coast of Morocco, you’ll be warmed by Saharan winds on these Spanish islands. With a winter monthly average of 19°C the British chill will feel worlds away. Throughout the year, carnivals and fiestas flood the island with colour and excitement. So you’re never far from music, food or fun. 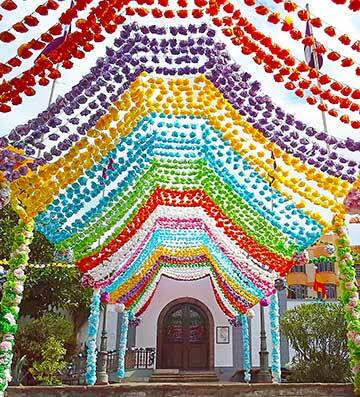 January to March is carnival season across the Canary Islands – so prepare for a fiesta. The world’s second largest carnival takes place in Tenerife every February, so hopefully there'll be room to pack a party hat. We have villas in Tenerife, Lanzarote, Gran Canaria and Fuerteventura all with sunny beaches and sandy coves to help you soak up some wintertime Vitamin D.
If you’re searching for a winter sun destination with lots of variety, look no further than Cyprus. 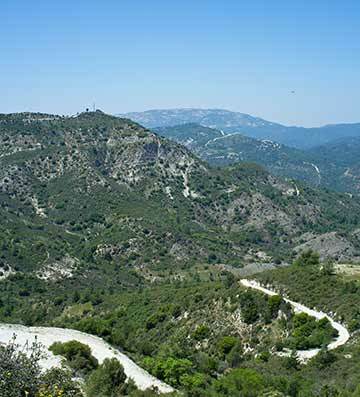 The Mediterranean island boasts warm, sunny beaches and snowy terrain in the central Troodos Mountains. Sand or ski? The choice is all yours! Outside the tourist season you’ll find a slower pace to life here, although there’s still plenty of fun things to do. Celebrations and festivals take place all over the island through winter, the perfect way to mix with the locals. October visitors can help celebrate Cypriot independence and if you’re heading away in the New Year, head to Paphos for Epiphany on January 6th. You’ll never run out of places to explore on your winter sun holiday here! Discover olive groves perched on rolling hills, a rugged coastline lined with inviting harbours, and much more. The call of the Caribbean is difficult to resist, no matter when you visit! Year-round sunshine and temperatures reaching 27°C create the perfect winter escape. Steeped in colonial history, you’ll find there's so much to learn from this vibrant island. Why not dance the night away at festivals dedicated to calypso and jazz? You’ll really get a feel for the rhythm of the island! Plus, you’ll get to experience just how friendly the locals are first-hand. The Holetown Festival in February oozes Bajan music and street food. There’s also the Mount Gay Round Barbados Race in January, attracting both tourists and locals to Bridgetown for the three day boat race around the island. So pack your sun tan lotion and dancing shoes for a villa holiday in Barbados – it won’t disappoint for fun in the winter sun. Across the Atlantic Ocean, the Sunshine State of Florida awaits. This subtropical American state is full to the brim with activities, museums, parks and beaches. And in the south, the winter months deliver 25°C highs! You’ll find fun for all ages, visiting the Walt Disney World Resort parks and Universal Studios Florida™ in Orlando. With rides and amusements that spell excitement for adults and kids alike. 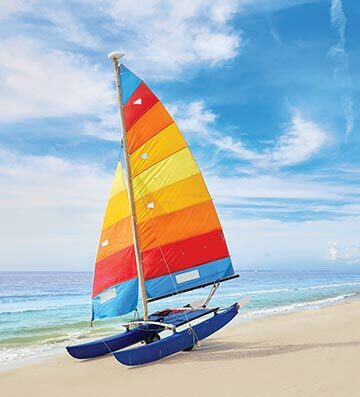 Whereas the Gulf Coast offers white sandy beaches and exhilarating water sports for everyone to enjoy. The Americans also really know how to throw a party! 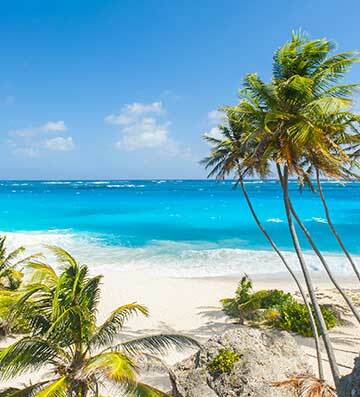 So for a sunny festive getaway, book your winter sun holiday around Halloween, Thanksgiving or Christmas. Another jewel in the Caribbean crown is the island of St. Lucia. Possibly the perfect winter sun destination, November average temperatures sit at a whopping 29°C and you can expect to be blown away by a landscape like no other. 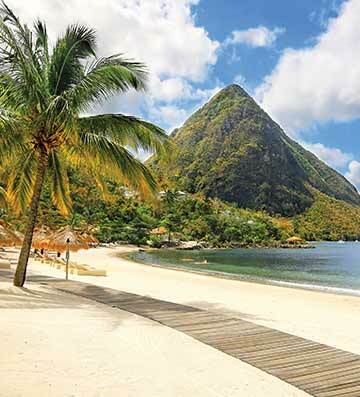 The volcanic Piton Mountains tower over azure seas and pristine beaches – picture perfect! As soon as you step foot on the island, you’ll feel like you never want to leave. Learn more about the island’s history and culture at the Arts & Heritage festival in October. Street parties and art exhibitions can be found around the island throughout the month, so make sure you join in with the festivities. This relaxing paradise is the perfect winter sun destination, so why not get away from the UK chills in St. Lucia? Flights shown are average flight times from certain departure airports and for some routes only. May be subject to change, availability and variation depending on airline.